Christmas is just around the corner and this year you’re taking your sweetie home to meet your parents. Now, this should be interesting. You’re two months pregnant and nobody knows yet, except you two, and you want to keep it that way – for now. Or, try this holiday scenario: You’re a newly married couple and both sides of the family are meeting for the first time. From what you’ve been told, the two families are very different. You don’t know if it’s going to go smashingly well or be the Christmas from hell. Maybe, if you’re lucky, it’ll shake out somewhere in-between. How about this one? You and your husband and bi-sexual teenage daughter are having Christmas dinner with your in-laws. You both have agreed that your daughter can bring along her live-in girlfriend. Your father-in-law is a minister and your mother-in-law makes no bones about what she thinks is proper and what’s not. Greg is sitting in a dark room late at night. Pam, his fiancé, walks in and discovers him deep in thought. Holiday flare-ups are challenging – and I’m not referring to irritable bowel syndrome. 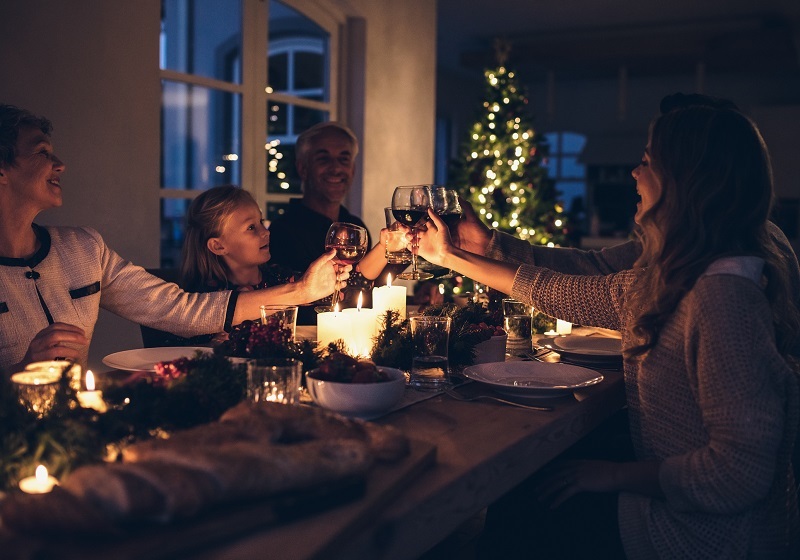 Family get-togethers are often fraught with awkward encounters, personality clashes, exposure to taboo topics, conflicting political and social views. When family feuds, a history of family friction, rude behavior or offhand sensitive remarks pop up, it’s tough to mind your manners and keep your sanity and know what to do to keep the situation from getting out of control. How do you keep the peace, not only between you and the family, but between you and your sweetie? The switch. Switch to safer topics when it looks like things are about to explode. Keep healthy boundaries. Stay calm. When things get heated, stay calm. Emotions are contagious. Balance out a raised voice by speaking softly and slowly. Keep your tone neutral. If you can keep your composure the other person tends to respond by mimicking that composure. Throw up a smoke screen. Another way to diffuse a heated discussion or awkward moment is to inject a little humor. You don’t want the person to feel belittled by making light of something someone said, but you can throw out a random absurd comment that is so totally off the subject – and off the wall – that it’s laughable. You are inadvertently redirecting the conversation. Example of a red herring: “Weren’t you married once before?” your father-in-law asks at the holiday dinner table. “I’d love another serving of mashed potatoes; thanks for asking,” you respond. Perspective. Everyone has their own beliefs about what’s normal and acceptable … corporal punishment with a child, food choices, public displays of affection. Remind yourself what’s more important: having a harmonious family get-together and forging good memories and relationships with the family and your partner. Plan ahead. You and your sweetie might want to decide which of you responds to awkward or insensitive remarks. You might decide that you’ll to deal with your side of the family and he will handle his. Empathize. If your instinct is to be offended that his mom doesn’t understand why you would want to seek personal or couples counseling, remind yourself that older generations often hold different beliefs about mental health issues. Keep your focus on preserving and respecting your relationship first. Resist the urge to throw darts or throw the holiday turkey at your in-laws. Sometimes biting your tongue can keep you from biting someone’s head off. Next time, it could be your partner that takes a bullet. Use restraint, common sense, and keep the communication flowing between you and your sweetie. Do that and you’ll know what to do – or not do – when you gather with the family.